West Wetsuits are Here! | Living Water Surf Co.
WEST team rider Warren Smith up in Maine doing a little research and development for WEST! 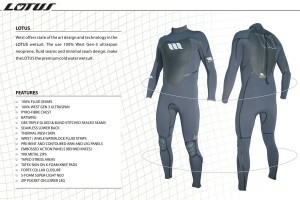 Living Water’s new WEST LOTUS model 3/2, 4/3, 5/4 mm Hooded wetsuits have arrived, Boots and Gloves too!! The neoprene rubber in WEST wetsuits is derived from a non-petroleum based Japanese lime stone. This lime stone neoprene is lighter, stretchier, and stronger than normal petroleum based neoprene rubber. WEST offers these high quality surfing wetsuits at lower prices than O’neill, Patagonia, Matuse, Rip Curl…saving you $$. Keep warm this season in your WEST! Posted in Uncategorized 8 years, 6 months ago at 10:48 am. Previous Post: Brett Barley in Hatteras! Next Post: Living Water Apparel is Here!